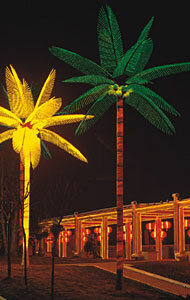 With innovative design and hard efforts, KARNAR have developed a brand new light series, which is of virtual reality, such as firework, coconut palm tree, bamboo, stone... What amazed us much more is all these light can be for outdoor use, so they offer us a strong impression in night view as well in day time. It can be erected in the garden, hotel, street, beach, air-opening bar, and park. Sometimes it merge naturally into active part of real living. A manufacturer of LED maple tree at GuangDong China. 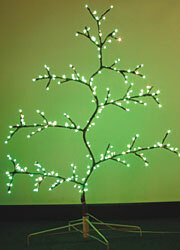 The featured China GuangDong LED maple tree manufacturers and listed here are sourced by the karnar lighting. ©2005-2018 Karnar Contact Us Site map Last modified: April 21 2019 04:01:32.